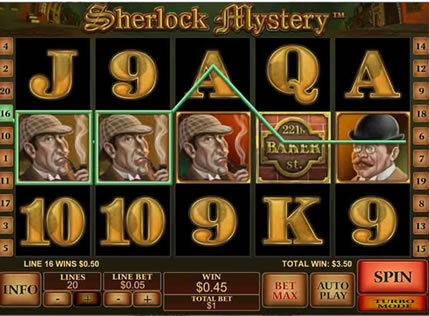 Sherlock Mystery has arrived at Fly Casino! This new slot is a 20-Line game with a free spins feature and a Crime Scene Bonus. TWO BONUSES TO SOAR YOUR WINNINGS! Free Spins: During this feature you are awarded 10 free spins with an extra wild symbol. When this wild symbol completes a win it will multiply it by 2, 3 or even 5. And, more free spins can be won during the feature. Crime Scene Bonus: Get 3 bonus symbols on reels 1, 3 and 5 to start the bonus feature where you pick objects to reveal cash prize. WIN BIG AT FLY CASINO! It's Football Mania at Fly Casino! Playing June 12, through July 16, 2014, we are giving away bonuses, cash, prizes, football kits and tickets every week! Your participation in Football Mania promotional days at Fly Casino is automatic when you play the slots and tables for real money. There is no need to "opt-in." 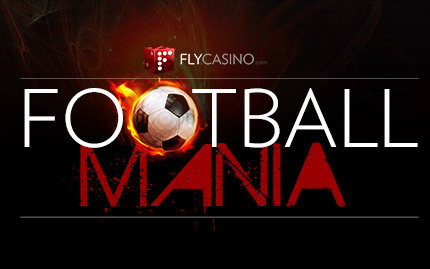 We will list the Football Mania promotions each week in the Fly Casino Newsletter. All of the details that you will need for each promotion will be detailed for your convenience. Saturday July 5, 2014 00:00GMT until 23:59GMT on your first deposit of $/£/€10 or more our members are eligible for our exciting Your Choice bonus. 3X Super Value Monday! On Monday July 7, 2014 from 00:00GMT until 23:59 GMT, all members on their first deposit of $/£/€25 or more will receive a $/£/€35 bonus. Claim it three times for 105.00! On Tuesday July 8, 2014 from 00:00GMT until 23:59 GMT, all members on their first deposit of $/£/€30 or more will receive a 135% deposit bonus up to $/£/€135.00. Win 2 Tickets to your favorite club! Play at Fly Casino this Wednesday July 9, 2014 and you are GUARANTEED one ticket entry into our random prize draw. To receive a ticket entry, all you'll need to have is have at least €/$/£1000 in total wagers (any games) during your gaming day. It's that simple. Four winners will receive two tickets to players' favorite team valued up to €200 per ticket. Cash exchange is permitted.